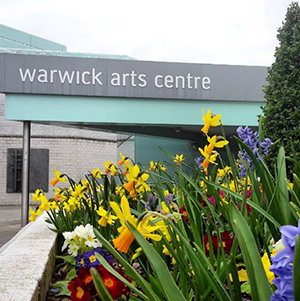 Warwick Arts Centre is one of the biggest arts venues outside of London. Located right in the middle of campus, it plays a central role in university life. It's here that you could find yourself acting on the same stage that was graced by a major international theatre company just a week before, or listening to your favourite band or comedian at a discount price thanks to your student status. Packed with equipment and venues suitable for world famous singers, comedians, actors and dancers, Warwick Arts Centre also opens its resources to student drama and music societies. With five top venues, there's a continuous variety of performance. The University is a stopping point for West End shows, cutting edge dance, film, national opera, and Nobel Prize winning writers, and there is a consistent flow of new artwork in the Mead Gallery. The events are often interactive too, with many post-show talks giving the opportunity for personal discussion between spectators and performers, as well as workshops put on by leading theatre companies. There is also a wealth of independent cinema on offer in the Warwick Arts Centre cinema, with students being able to see anything from the best film of the year to some of the most obscure movies around, with films originating from countries all over the world regularly shown, for less than the cost of a standard cinema ticket. Warwick Arts Centre encourages direct student involvement in running one of the most vibrant and active arts scenes in the country. Aside from student-friendly discounts and standby ticket offers, for a more hands-on approach there are CV-boosting employment prospects. Many students work as theatre stewards, marketing helpers, and Student Arts Representatives, with many more getting involved in student productions on a termly basis, all performed in the Art Centre, often to great acclaim with many Warwick student plays making it to the Edinburgh Festival on a yearly basis, having started out at the Arts Centre’ Studio Theatre. The Arts Centre is also home to a large social space – whether you want freshly cooked multi-cultural food, or want to relax with friends over coffee and cake in the Cafe Bar, or simply to get some reading done on the sofas upstairs, the Arts Centre is a relaxed area for you to spend time during the day, and you can always have a browse of the Bookshop. Having Warwick Arts Centre on your doorstep gives you a rare opportunity to be able to enjoy some of the best art from all over the world, any night of the week, at an affordable price – whether you enjoy theatre, music, comedy, dance, opera or art, Warwick Arts Centre will cater for every single student’s particular preferences. For the more musical amongst you, next we come to the Music Centre.